The extensive features of Outlook 2016 have been turning heads since its launch. It supports the needs of both the small and large scale IT firms. So, these days migration from different email clients including Apple Mail towards Outlook is quite common. In this article, we will walk you through both the manual and automated process to export Mac Mail to Windows Outlook 2016. A user is switching professional organization and hence is forced to move from Mac OS to Windows platform. In this scenario, the user needs to export any essential data he has from Apple Mail to the Outlook client on Windows. Mac Mail has an impressive user base. But with more effective features Outlook 2016 may suit the needs of a single user or entire organization in a better way. So, people choose to move from Mac Mail to Windows Outlook to satisfy their requirements. A user may be using multiple email clients including Apple Mail for their business and personal needs separately. Often that user has the wish to sync all the emails to a single powerful platform such as MS Outlook 2016. In this case too, we can say that effectively the user wants to migrate all emails from Mac Mail to Outlook. These are some common scenarios we collected from multiple queries on various forums. 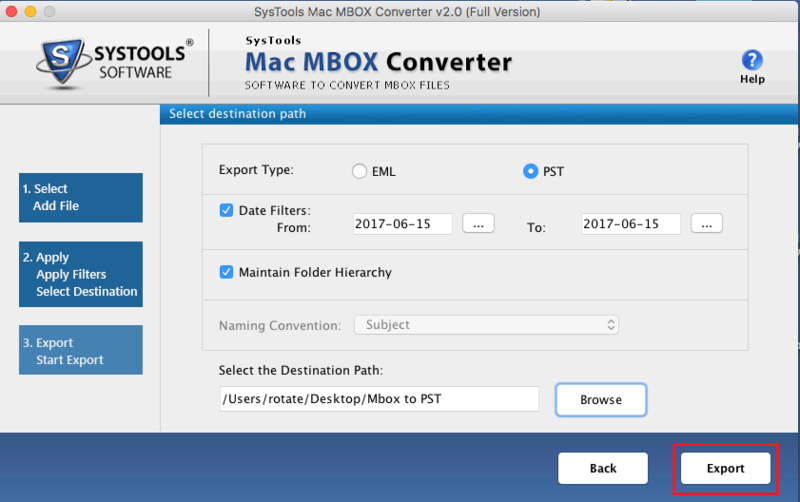 Although the reasons responsible for the migration may vary, the solution to convert Apple Mail MBOX to Outlook 2016 remains constant. All emails will start moving. It may take time depending on the total number of emails selected earlier. Once done, Gmail account will have all the data you wish to export Mac Mail to Windows Outlook 2016. Open the mailbox folder where you stored the Mac Mail emails to access them in MS Outlook 2016. The manual process consumes a lot of time and effort. Technical knowledge is required to successfully export Mac Mail to Windows Outlook 2016. Accurate results are not guaranteed here. Data can be missed while manual selection. It cannot be used when syncing multiple email clients data to a single Outlook application. In order to overcome the shortcomings of the manual approach, professional experts always recommend an automated solution. 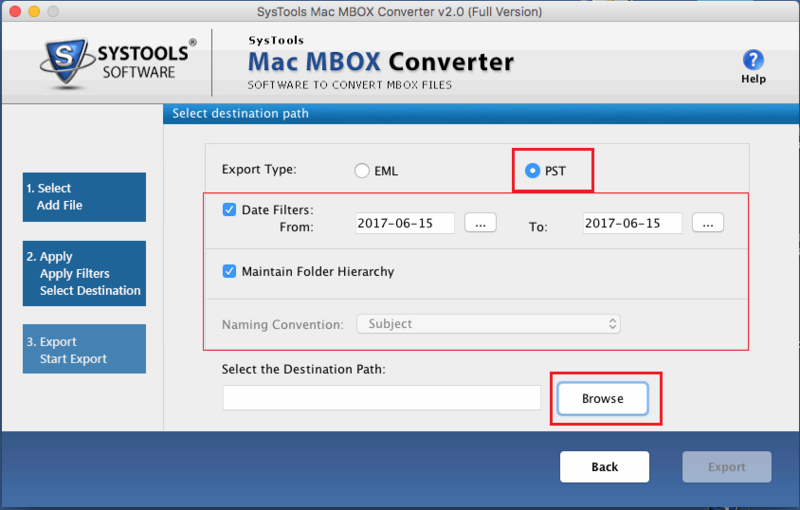 Which is why we have MBOX to Outlook Converter, one of the most trusted tools to convert multiple MBOX to Outlook PST in bulk. Developed by a team of experts, the tool has a wide range of sophisticated features. Any novice user can easily implement the self-explanatory conversion steps on the simple yet graphical user interface of the tool. 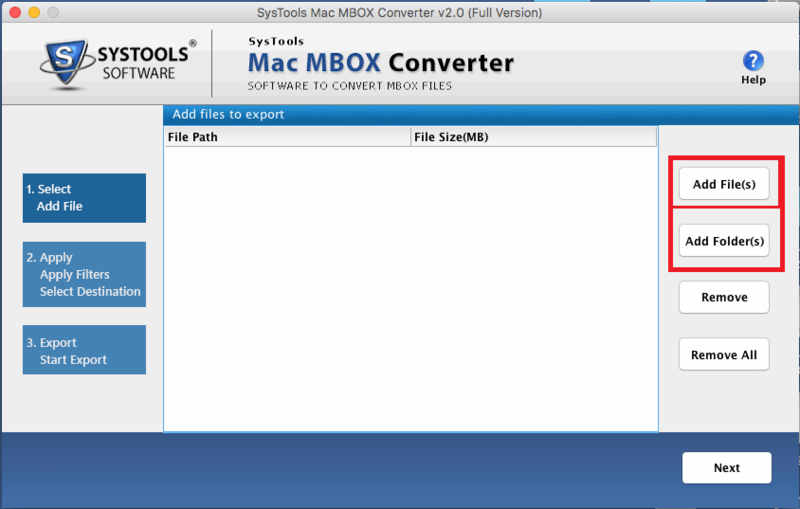 It is not limited to only Apple Mail but also supports MBOX files from other 20+ email clients. Be it the conversion of emails from particular files or entire folders, it has the capability to perform both seamlessly. Click on Add file to import the Apple mail data into the user interface. Finally, click the Export button to start the process to export Apple Mail to Windows Outlook PST. Now, you can easily import this PST file in any MS Outlook version to access all emails previously stored by Apple Mail. In addition, this output PST file is also compatible with Outlook for Windows as well as Mac platform. Apple Mail, being the default email client of Mac OS 10.0 and later versions is popular among the Mac users. But as they come across better email clients such as Outlook 2016, they wish to switch to it. However, both these email clients are incompatible with each other mailbox files. Hence, there is no direct way to export Mac Mail to Windows Outlook 2016. Therefore, through this blog, we decided to provide users with a manual workaround to achieve the same. We also recommended a professional tool which can easily overcome all the shortcomings of the manual way. And provide users with a convenient yet effective way to convert Apple mail messages to Outlook.